When it comes to choosing a floor for your sun room or three-season room, you need to think practically. Carpet feels cozy underfoot but it can also fade quickly in sunlight and isn't best for a room with lots of windows. Hardwood is beautiful but with its susceptibility to heat and humidity, isn't the best choice for a sun room. Indianapolis tile flooring store, Kermans, recommends tile as the perfect floor for your three-season room or sun room. When you think of tile flooring you might first think of ceramic tile and for good reason. Ceramic tile is a long-lasting, durable and affordable flooring option. But don't be afraid to look at different types of tile! There are so many options with tile flooring that let you have just about any look and style you want with all the practical benefits of tile. Ceramic: Perfect for your sun room or any room in the house, ceramic tile is often the most affordable tile choice on the market. 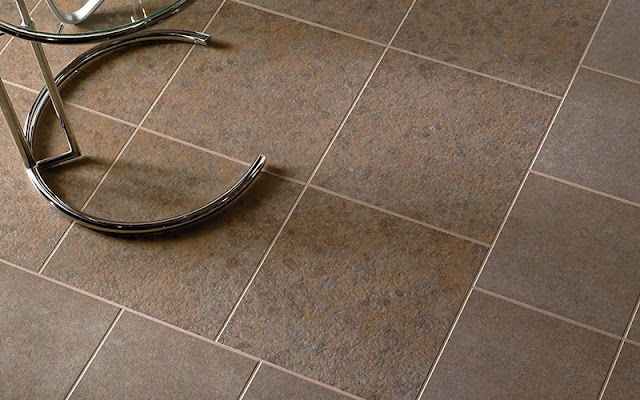 Available in different shades and tile sizes, you can create a distinct look at a good cost with ceramic. Learn more about ceramic tile flooring. Natural Stone: Natural stone is a beautiful way to bridge the gap between your home and outdoor areas and thus perfect for a sun room or three-season room. Properly sealed, natural stone's durability can't be beat. If you're looking for a truly unique floor, consider natural stone. Learn more about natural stone tile flooring. Porcelain: If you want the look of wood or natural stone in your three-season room, look at porcelain tile floors. Porcelain tile is now available in a wide variety of designs, including designs that mimic hardwood and natural stone. Porcelain is stain and water resistant and won't fade in the sun. Porcelain tile floors are a great way to get just the look you want, with all the benefits of tile. Learn more about porcelain tile flooring. When you need flooring for your sun room, shop at Kermans. Our design staff can help you find just the right floor for your lifestyle and budget. Whether its tile, resilient vinyl or something completely different. Kermans has the selection and prices that Indianapolis homeowners have appreciated for decades. We invite you to our Castleton area flooring store to see for yourself.